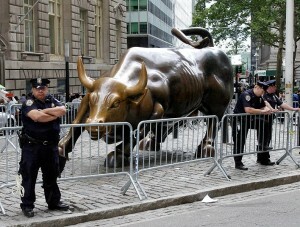 LIONEL PODCAST: Face It, You Know Nothing About #OccupyWallStreet Or Anything For That Matter. The difference between an optimist and a pessimist is that a pessimist has more information. I don’t know who said that, but it’s brilliant. And if a pessimist is armed, the optimist is unarmed and/or bereft of facts. The #OccupyWallStreet movement is analyzed through a prism via a spectrum that varies from person to person. What the movement entails is a valid and bona fide protest against a system that’s riddled with and by abject corruption. A system that’s in effect a rapacious globalist asset-stripping systemic and metastatic cancer. The protestors’ signs may be simple, their message idealistic. But they’re absolutely correct. They must be on to something. You only take flak when you’re over the target. ← LIONEL PODCAST: If You Truly Knew How Stupid Most People Were You’d Blow Your Brains Out.